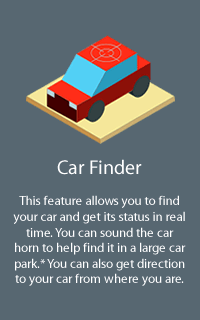 Once your car goes missing, you’ll most probably never see it again. 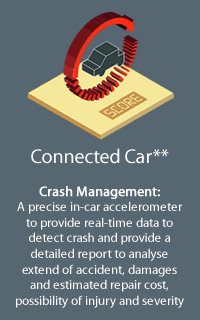 That’s why you need CSE Connex, an advanced GNSS Telematics Security System with Security card technology that is able to detect unauthorised movement of your vehicle. When your car is stolen, the Secure Operating Centre (SOC), together with the police, will recover your car in less than 72 hours*. So, get the best security system for your car to ensure that it remains safe. 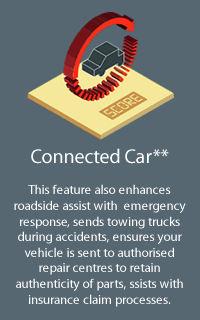 CSE Connex utilises telematics technology to ensure that your car is connected to you at all times. this is how CSSE Connex works to recover your car. 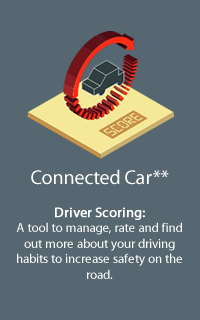 CSE Connex is a sophisticated car tracking security system with driver recognition and Secure Operating Centre Service (SOC). The Security card is a card that recognises the authorised driver when driver starts the car. 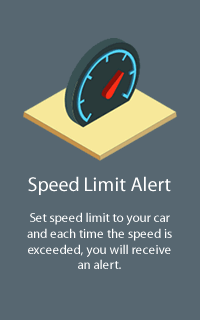 If the car is driven without the Security card, theft alert will be activated automatically, and theft alert will be sent to the owner and SOC. Theft recovery will also be activated. A 24/7 security operation with a dedicated group of personnel that are experienced in dealing with stolen car recovery. The operation includes theft management experts and close coordination with the Police to ensure recovery. 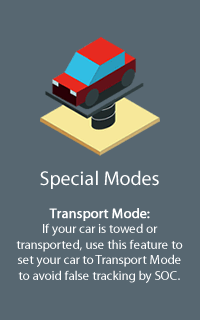 If the car is towed, battery disconnected or if the system wiring is cut, theft alert will be activated and alerts will be sent to the owner and SOC. Theft recovery will also be activated. System health check is automatically performed to ensure that the system is functioning normally. If it fails to respond during the health check, an SMS alert is sent followed by a call from the SOC. An intelligent security tracking device with in-built backup battery, motion detector, GPS location, and Security card support. 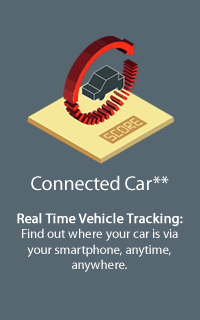 The device provides security alerts and GPS tracking information to the SOC and car owners. 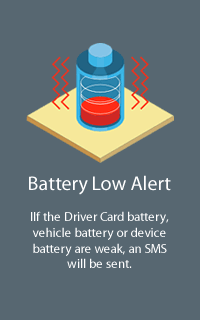 If the Security card is not left in the vehicle or handed to the valet, an SMS alert is sent followed by a call from the SOC if the vehicle is driven. 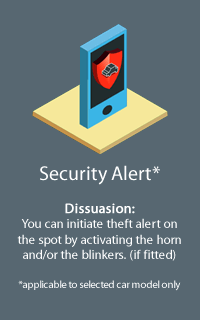 SMS will be sent to alert drivers in the event of theft. If your stolen car is recovered within 72 hours, we will cover the cost of repair for any damages on your car. If recovery takes longer than 72 hours, you will be compensated with cash and credit for your next car purchase. Select a car manufacturer from the links below to find the nearest location to purchase CSE Connex and have it installed on your car. Our SOC received a call from one of our subscribers notifying that their vehicle had been stolen. Once customer verification is confirmed, SOC proceeded to activate tracking on the vehicle and called 999 for police assistance. Our SOC continued to provide the police with constant updates on the vehicle’s location and after a short while, the police confirmed they managed to apprehend the thief and recover the vehicle. Despite there being damages to the vehicle, the customer was nonetheless grateful that it was recovered at all. On 11th July 2018, our Secure Operating Centre (SOC) received a crash alert from one of our AXA FlexiDrive customers at a little after 6pm. SOC contacted the customer who confirmed they were involved in an accident. As the vehicle’s Accident Severity Index (ASI) has exceeded the threshold, SOC immediately reported the accident to the police and requested for medical assistance to be dispatched to the customer’s location. Our SOC then provided the customer’s exact location in order for the emergency response team to quickly head to the scene. 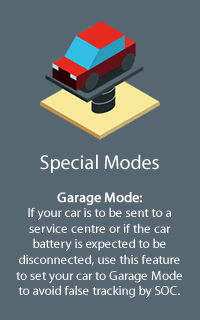 On July 18th, our SOC received an alert from a customer’s vehicle that indicated unauthorised movement. Our SOC immediately contacted the customer to verify if theft had occurred which was confirmed a few minutes later. SOC proceeded with the recovery process by reporting the theft to the police and provided them with the vehicle’s last tracked location. After several follow-ups on the recovery, the police managed to locate the vehicle and our SOC informed the customer on the news and for further action. On the afternoon of June 20th, a customer with AXA FlexiDrive installed onto her vehicle contacted our Secure Operating Centre (SOC) regarding a vehicle theft. She informed SOC that her vehicle had been stolen from the location it was parked ever since she was outstation a few weeks back. After verifying the customer’s details and requesting to forward the police report, SOC immediately tracked the vehicle and proceeded to liaise with the police for recovery. After several updates to the police on the vehicle’s current whereabouts, the police managed to locate the vehicle. The police noted that the vehicle plate number had been changed and that another stolen vehicle that was travelling together was also recovered and 3 personnel believed to be involved in the theft were arrested. During the evening of 4th May, our Secure Operating Centre (SOC) received a crash alert from one of our customers. 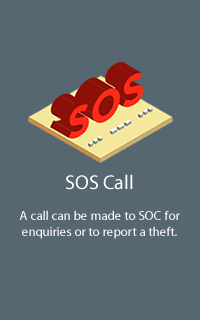 SOC immediately contacted the customer to determine their current status and was informed that they were involved in a serious accident. The customer requested to send an ambulance quickly as they have sustained physical injuries. SOC then confirmed the location of the crash and contacted the nearest emergency services to report the accident. Thanks to the swift guidance of our SOC team, the ambulance arrived on the scene without much trouble and managed to stabilize the crash victims and transported them to the nearest hospital. On 15th July 2017, the Control Room received an alert from a Mercedes Benz GLC250. The Control Room attempted to contact the owner who informed that he was currently overseas at the time. However, the owner managed to confirm the theft with the help of his neighbour. The Control Room proceeded to activate the recovery process and assisted the police by providing updates on the vehicle’s location for them to track it down. A couple hours later, the police managed to cease the theft and the vehicle was successfully recovered, all before the owner returns home to Malaysia the very same day. On 7th April 2017, the owner of a Toyota Hilux called the Control Room informing that her vehicle had been stolen. After performing identity verification, the Control Room reported the theft to the nearest police and provided them with updates on the vehicle’s location. When the patrol unit was unable to find the vehicle at the location, the Control Room issued horn command which allowed the police to pinpoint the exact location. It was discovered that the vehicle’s engine and a few other parts had been tampered with, which could have been much worse had it not been recovered sooner. The vehicle was then towed to the police station for further inspection. On 8th March 2017, the Control Room received a theft alert from a Toyota Hilux at around 1 A.M. The Control Room immediately contacted the owner and proceeded with identity verification after confirming that the vehicle had indeed been stolen. The Control Room then reported the theft to the police and assisted with tracking the vehicle. Shortly after, the vehicle was successfully located and the owner was informed of its status. “Great Job and keep it up. I now can sleep well because I know that you are there awake to protect my vehicle,” Ms Christina wrote in her letter. On 7th March 2017, the Control Room received a theft alert from a 10 ton lorry and after contacting the owner, it was confirmed that the vehicle had indeed been stolen. After completing the identity verification procedure, the Control Room proceeded to call the police in assisting to track the vehicle. In addition to that, further details of the vehicle were given by the owner to help ease the search. Thanks to the collaboration of all parties involved, the vehicle was successfully located shortly after. On 5th March 2017, the Control Room received an alert from a Toyota Fortuner that indicates unauthorized movement. The Control Room called the vehicle owner to check its status and later confirmed it had indeed been stolen. The Control Room called the police and managed to track down the stolen vehicle which was left stationary. Apparently, the vehicle already had its license plate number changed within the time it was stolen but thankfully, it was successfully recovered by the police. At around half past eight on 12th February 2017, a vehicle owner of a Mercedes Benz called the Control Room informing that his vehicle had been hijacked. After performing identity verification, the Control Room activated theft recovery process. By providing the vehicle’s last tracked location to the police, the stolen vehicle was successfully located and recovered before noon. The police proceeded to tow the vehicle to the nearest station for further investigation and the owner was immediately updated on the situation. On the evening of 3rd January 2017, the Control Room received a call from the vehicle owner of a Honda Civic informing that his vehicle was missing. After identity verification was done, the Control Room proceeded with theft recovery. After providing the vehicle’s last tracked location, the police managed to locate the vehicle just before midnight and it has since then been returned safely to its owner. On 30th September 2017 at 2.15 am, the Control Room received an alert from a Hino FF that’s fitted with our CSE Connex device. The Control Room contacted the owner of the vehicle to verify its status and within minutes, he confirmed that it had been stolen. The Control Room then proceeded with identity verification and assisted the police in tracking the vehicle. Shortly after, the police confirmed that the vehicle had been successfully recovered and the Control Room proceeded to inform the owner of this development. On 20th August 2016 at 11.53 am, the Control Room received a call from the vehicle owner of a Honda Accord informing that he was currently at the police station to report his car had been stolen from his home. Once completing identity verification, the Control Room assisted the police in tracking the vehicle’s last known location. After failing to spot the vehicle at the location, the Control Room advised to check the basement parking of a nearby apartment. Surely enough, that was where the vehicle was found and shortly after, brought to the police station for investigation. On 5th August 2016 at 9.25 am, the vehicle owner of a Honda Jazz called the Control Room informing her house had been broken into and her vehicle had been stolen. After owner verification, the Control Room immediately tracked the vehicle’s last known location to a basement parking area in Petaling Jaya and provided the information to the police. A short while later, the police officer on the scene informed the Control Room that the vehicle has been discovered at the exact location provided. The Control Room updated the owner on the vehicle’s status which was then brought to the police station for further investigation. On 28th July 2016 at 9.18 pm, a call came in from the vehicle owner of a Toyota Vellfire informing the Control Room that he witnessed his vehicle being driven off by a thief. After verifying the owner’s identity, the Control room received a theft alert from the same vehicle and immediately lodged a police report. The Control Room proceeded to assist the police in tracking the vehicle to a housing area in Subang Jaya. It was shortly confirmed that the police successfully recovered the vehicle and that it will be brought to the nearest police station for further inspection. On 28th March 2016 at 5.15 pm, the vehicle owner of a Honda Civic Hybrid called the Control Room to inform them that her vehicle was not at the last location she parked. The Control Room verified the owner’s identity and confirmed that the vehicle had been stolen. After calling the police to lodge a theft report, the Control Room assisted in guiding a patrol unit to the last tracked location of the vehicle. At 6.06 pm, the police patrol unit confirmed with the Control Room that they found the vehicle. The Control Room notified the owner of this development and she proceeded to retrieve her vehicle. On 25th October 2015 at 3.43 pm, the Control Room received a call from the vehicle owner of a Toyota Hilux informing them that his vehicle had been stolen. Later that night, the Control Room received a speed alert from the same vehicle and contacted the owner who notified them that his vehicle is still missing as well as his personal belongings inside. The Control Room proceeded to send a command to Engine Lock the vehicle. Shortly after that, the owner confirmed with the Control Room that his vehicle had been recovered in Thailand. 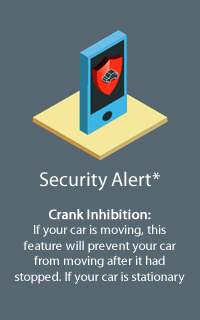 On 20th October 2015 at 4.37 am, a theft alert was triggered from a Mercedes Benz C200. The Control Room later received a call from the vehicle owner confirming that his vehicle had been stolen. After activating theft tracking command, the vehicle was located at Hospital Yan, Kedah. The Control Room then activated the engine lock and dissuasion command and proceeded to inform the police and Hospital Yan security room regarding the situation. The police sighted the vehicle inside the parking area of the hospital and at 11.34 am, confirmed with the Control Room that the vehicle had been recovered. On 26th September 2015 at 4.37 am, our Control Room received a call from the owner of an Audi TT informing us that his vehicle had been hijacked. The Control Room activated the dissuasion and immobilization command and started tracking the vehicle's location. The Control Room then contacted the police and assisted in providing them with updates on the vehicle's current whereabouts. Shortly after, the police managed to track down the vehicle at Jalan Pandan Indah 1/25, Cheras and apprehended the thief responsible for the carjacking. At 5.25 am, the control room contacted the owner and informed him that his vehicle had been secured. On 10th September 2015 at 4.20 am, an alert was transferred to our Control Room from a Nissan PKD 211 as the vehicle's ignition was detected ON and driven from its location but no ID Tag was detected. The Control Room immediately informed the owner about the situation. After confirming that the vehicle had been stolen, the control room consulted the police and provided the vehicle's last known location which was Jalan Penyelenggara U1/73, Shah Alam. The police were deployed to that location and successfully recovered the vehicle at 8.26 am. On 25th July 2015 at 8.33 am, our Control Room received an Intrusion and Sabotage alert from a Nissan UD. After the owner confirmed that his vehicle had been stolen, the Control Room activated the dissuasion and immobilization command and started tracking the vehicle's last known location. The Control Room called the police and provided constant updates of the vehicle's latest location which allowed them to find the vehicle along Jalan Permata 7, Kluang at 10.38 am. It was later driven to Kluang Police Station and then to Kuala Lumpur. On 28th April 2010 at 3.09 am, our Control Room detected an intrusion alert from a Hino 550. The Control Room contacted the owner and confirmed that his vehicle had been stolen in front of his house. The Control Room tracked its last known location and immediately informed the police and dispatched the response team. After continuous coordination between the Control Room, police authorities and response team, the vehicle was ultimately discovered abandoned at Dusun Panti, Johor at 8.05 am and later sent to IPD Kota Tinggi for further investigation. On 15th February 2015 at 9.59 am, our Control Room received a call from the lorry driver reporting his Euro 2 Bison had been stolen. After confirming that the vehicle had been stolen, the Control Room contacted local police authorities and provided the last known location which was Batang Berjuntai, Kuala Selangor. Police were immediately dispatched to the location where the vehicle was spotted in a stationary position. The Control Room proceeded to update the owner on the status of his vehicle and was informed that the vehicle was successfully recovered at 10.38 am. On 9th February 2015 at 10.55 pm, our Control Room received a call from the vehicle owner reporting he had been attacked and his Honda Accord had been hijacked at Lebuhraya Damansara, Puchong. After verifying the owner and confirming that the vehicle had been hijacked, the Control Room activated Manual Theft and started tracking the vehicle. The Control Room reported the theft to the police authorities and dispatched the response team to the latest location. At 12.24 am the next morning, the response team sighted the vehicle at Taman Kinara, Puchong parked between housing lanes and awaited the police for its recovery. On 8th January 2015 at 3.17 am, our Control Room received a call from the vehicle owner reporting that their Nissan PKD 211 had been stolen from Jalan Ipoh, Kuala Lumpur. After verifying the owner's identity and confirming that the vehicle had been stolen, the Control Room activated "Manual Theft" to track the vehicle. The Control Room dispatched the response team and alerted the police authorities on the vehicle's current location. Shortly after, the Control Room was informed that the police managed to recover the vehicle successfully at Sungai Bakau, Rawang, Selangor at 4.13 am. On 7th January 2015 at 3.39 pm, our Control Room received a call from the vehicle owner reporting that he could not locate his Mercedes Benz C200 after it had been parked at Genting Highland, Pahang for the past three days. After verifying the owner's identity, it was confirmed that the vehicle had been stolen together with the keys. The Control Room activated "Manual Theft" and started tracking the vehicle. At the same time, the Control Room deployed the response team to the last known location and reported the stolen vehicle case to the police while requesting for their assistance. The response team successfully located the vehicle at Taman Bukit Indah, JB, Johor and the Control Room updated the police authorities who recovered the vehicle at 4.25 pm. On 6th January 2015 at 4.29 am, our Control Room received a vehicle movement alert from an owner's vehicle, a Toyota Vellfire. The Control Room contacted the owner, verified his identity and confirmed that the vehicle had been stolen. The Control Room started tracking and informed the police authorities and response team on the situation. The police informed our Control Room that they had successfully spotted the moving vehicle and were currently in pursuit. After spreading the news to all the nearest police stations, the vehicle was found parked with its engine left on beside Slim River Highway, Perak. Police recovered the vehicle and sent it for further investigation at 10.15 am. 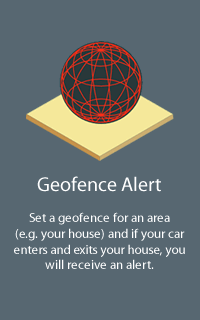 On 2nd January 2015 at 3.02 pm, our Control Room received an intrusion alert from an owner's vehicle, a Honda City. The Control Room contacted the owner to verify their identity and confirmed that the vehicle was missing. After tracking the vehicle, the Control Room immediately dispatched the response team to its last known location and reported the theft case to the police. The response team located the vehicle at Jalan Desa Serdang, Seri Kembangan, Selangor and with the help of police, the thief was apprehended and the vehicle was successfully recovered at 3.45 pm.